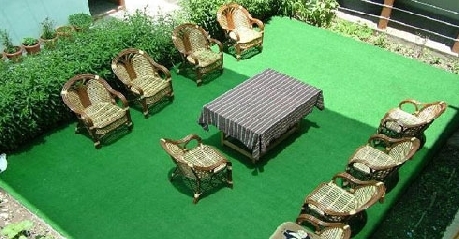 The TSO-KAR hotel is a 3-Star luxury hotel in Leh, Ladakh, where you are treated with the finest craziness in life. Rated as one of the finest Hotels, here you will experience pleasant amenities, epicurean dining options, inspiring activities and entertainment possibilities of a world class hotel in Leh, Ladkh. 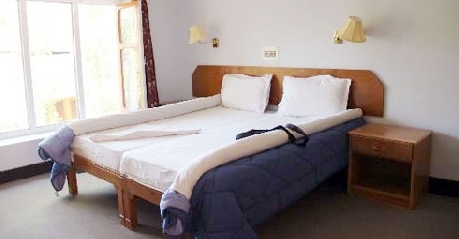 Located on the Fort Road, you can reach TSOKAR hotel through Road Service from Jammu Railway Station, which is nearest to this hotel via Srinagar and just 2-3 Km away from Leh Airport and you wil get a free pick-up service from there. You can get a discontinuous and impressive views of Stok Kangri which is the highest mountain range (elevation 6,153m) in the Stok range in Ladakh, Khardunga- la pass (elevation 5,602m) which is the world highest motorable passes and a Leh Palace which is a former Royal Palace, from the roof-top. They also provide experiences of Trekking, Monastery visit, Hiking, Ladakhi culture, Cycling, Rafting, and many more which you will obviously loves to do. They have installed Rooms heating System which works very good during winter seasons. There amenities include Doctor on call, Internet Café, Baby sitting, daily newspaper, valet parking, Free pick-up and drop to Airport Service, Garden Restaurant, Indoor recreation activities like Pool, Billiards, Carom, Chess, Badminton etc. Single rooms are generously designed and decorated with local materials such as teak, bamboo and marbles. Modern conveniences like “plug and play”, LCD Television, stereo dock, etc are stand features. A complimentary selection of movies and music CD’s is also available. The room is provided with a single bed for your comfort level along with 2 chairs and a writing desk with lamp. Electronic safe is also provided there. Mat finish flooring seems to be a very decent but it has come somewhat patchy. Full glass floor to ceiling windows allows you to enjoy beauty of Leh, Ladakh. In Single Rooms you will get bathroom which is also immaculate but not attached with the each room. That is little uncomfortable for some. Laundry and dry cleaning service is available all the time and butler always enjoy whenever you call them. That’s the beauty of the TSOKAR Hotel. 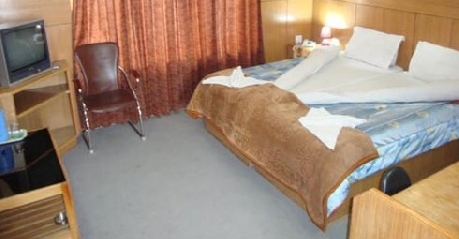 The Double Rooms are very well furnished with clean attached bath and clean running cold and hot water which runs 24x7. Each Double Room has 32 Inches LCD TV with cable connection plus movie on demand feature which is free (on demand). Each Room sized over 35sqft which are very well structured so that their customers can enjoy the outer fascinating view. The room can accommodate two persons and have either a queen size bed or twin beds options. All rooms attribute wood furnishings, a large window with a dignified curtains and a marble flooring bathroom, complete with a dressing gown. Comfortable armchair, Writing desk with reading lamp and a mini bar is provided to the guests. Sound system is also installed in the room and a laptop size safe is provided for the guests. Daily laundry and dry cleaning service is provided along with twice-daily housekeeping service on demand is attended. Hotel TSO-KAR has fully furnished Suite which are well maintained with elegant furniture and decorated in classic manner. The suite has 27 inch LCD TV with a cable connection plus movie on demand feature. Each suite is sized over 40sqft providing a stunning view of the Himalayan range. Each room can accommodate two guests along with single child on a very relaxing queen size bed along with 2 pillows. Each room is equipped with two chairs, one mini table and a writing desk with lamp. Well spacious bathroom equipped with bathtub helps you to relax your body for the upcoming adventures. Electronic safe is also provided in the room. One can start there day with the daily local news plus national news through newspaper with is complimentary for our reputed guests. Daily laundry and dry cleaning service is provided along with twice-daily housekeeping service on demand is attended. There rooms will surely make you feel a perfect dream home, away from your home. Hotel TSO-KAR has a very authentic restaurant which will serve you the food that will make you feel dynamic through its ingredients. You can enjoy Breakfast, Lunch and Dinner in their chophouse. They maintain Michelin standard. Actually they are very passionate about their food which they want to deliver to their guests and the travelers. Their dining hall remains open 24x7. Although their Dining halls is pretty compact but the way they treat you, you will feel it’s like a 5 star hotel and that is their way of showing attachment. Chinese cuisine is their highest appreciable. Their chef’s loves our company as they also know the taste of North Indian like Dal, Chapati and Green vegetables.